Found mainly in marshes, in ditches and on damp, shaded riverbanks, this member of the ragwort family often has rather an unkempt appearance. 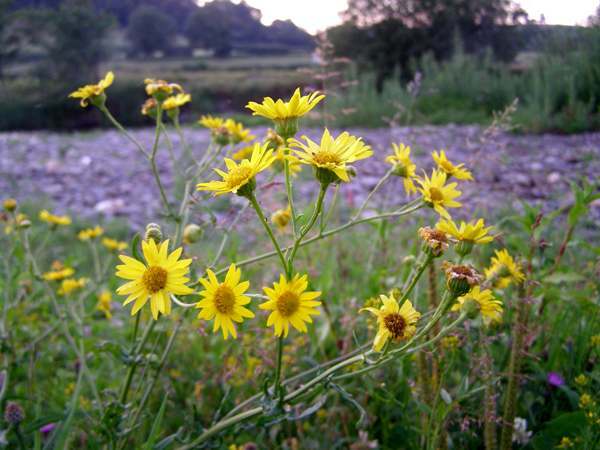 Marsh ragwort blooms in June, July and August. 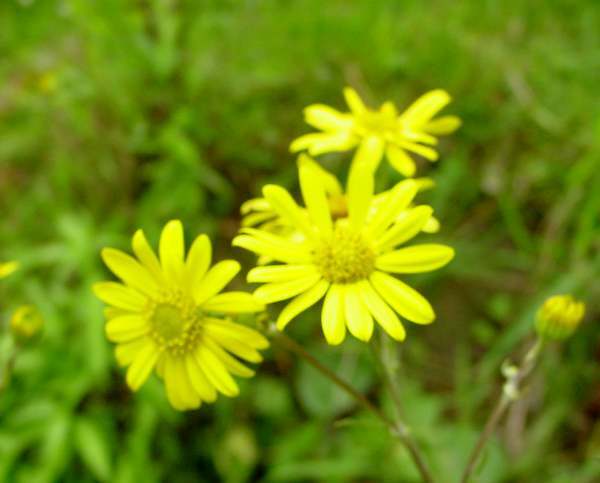 The flowers are larger and much less densely clustered than those of common ragwort. A further distinguishing feature is the rounded ends to the leaves. 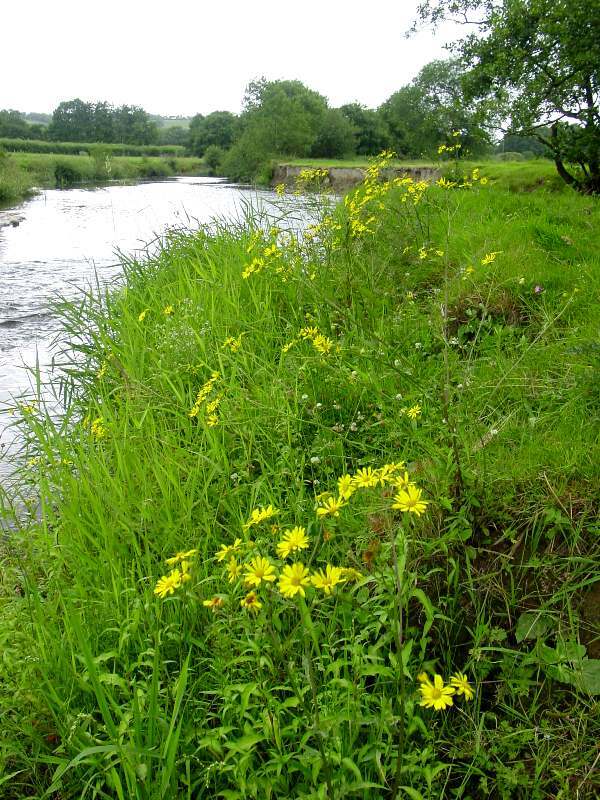 We found these marsh ragwort plants growing beside the River Teifi, near Llandysul, in West Wales. The ragworts all belong to the family Asteraceae; all parts of the plants are poisonous.